A journey to find yourself again. Being productive feels good. Getting things checked off can almost be addicting. Constant hits of dopamine provide us with motivation to get more done. But with all the checking-off frenzy – are we still focused on our big goals? I found that even those get broken down into small tasks and I get caught up getting those done day in and day out – without thinking bigger. Being productive feels best when I go after the things that matter – not just the daily grind. The things that matter may up some of the grind, but as long as I stay focused on the big objective, I don’t have to get caught up in menial little things, such as posting every milestone on social media. Being productive feels good. Getting things checked off can almost be addicting. Constant hits of dopamine provide us with motivation to get more done. But with all the checking-off frenzy – are we still focused on our big goals? I found that even those get broken down into small tasks and I get caught up getting those done day in and day out – without thinking bigger. Being productive feels best when I go after the things that matter – not just the daily grind. The things that matter may up some of the grind, but as long as I stay focused on the big objective, I don’t have to get caught up in menial little things, such as posting every milestone on social media. Celebrating others can be challenging. We often feel we deserve the praise more. Or, we just don’t see what they have done that deserves celebrating. Yet, this is a wonderful way to connect with another person. Not only does it make them feel great, but you also feel good padding others on the back. People remember how we make them feel and I have seen over and over again that they will cheer us on when its our turn. Flying spurs my creativity and changes my perspective. Every time I am on a plane, my dreams seem so much more achievable than when I am with both feet on the ground. I wrote this poem on a recent trip, with my nose pressed against the cabin window, looking at snow-covered mountain ranges and dreaming of climbing them all. Allow yourself to be inspired by something that gives you a similar joy – music can do it, spending time in nature, reading. It feels great to “fly high” from time to time and then to take a piece of that dream with us into our “grounded life” and implement it. Finding our passion can be daunting and frustrating journey, especially when we just don’t know what we are passionate about, while others are clear about it since they were children. For most of my life I didn’t think there was anything in particular I was passionate about. But when I look back, I see that I didn’t even look. When I started engaging with life, taking chances, trying out new things, thats when I discovered many things I am passionate about.We don’t find our passion – it finds us once we are open to it. I like reaching goals. Journeys sound good, and I don’t shy away from them – but I do like to get them done and over with. The hard work requires patience. There are setbacks and sometimes we feel like giving up. When we set our mind to the process, and accept every step, whether its a failure or a celebration, then we can really learn to master a craft. The hard work is hard, but its good for us. Because with hard work comes growth. To many of our daily tasks are about checking things off. The hard work, those projects in life that take a long time and require lots of effort and sacrifice, are the truly rewarding journeys. We like things that are easy. We try to avoid as much pain as we can. We want to pull through and get it over with. However, some of our biggest accomplishments in life have come from doing hard things. I learned to smile more when I came to this country. And while I initially had to force myself to smile, I now notice all the amazing positive side effects that smiling brings. Does it seem challenging to find an inner connection with ourselves? Our world can be noisy, overwhelming and distracting. Yet, the direction for our life comes from within us. 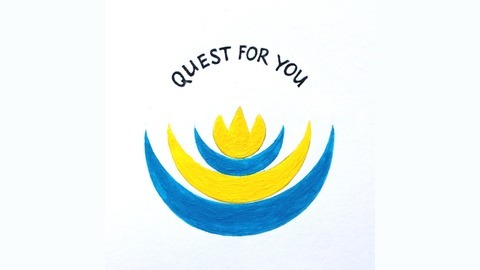 The Quest For You Podcast is my mission to help you discover who you are. I will help you challenge yourself through daily guidance, motivation and inspiration. I want to help you find your direction. Itunes Stitcher Seasons Episodes Downloads Show Notes for What does it mean to be productive – QFY 423 Looking for a quote from my show notes? This doesn’t sound bad right? But my question is – are we to obsessed with a productive lifestyle? Is it only about getting stuff done and are we forgetting something important along the way? Are we missing out on actually enjoying life at the expense of checking things off? So how can we get out of this cycle of tracking, recording, checking off and get back into true productivity? But why do we need to feel better? Am I still moving forward with purpose and intent – or am I just running for the finish line? Don’t miss our daily episodes. Subscribe now! Please join me to Listen & Subscribe. Choose this step and empower yourself to become the person you desire to be! 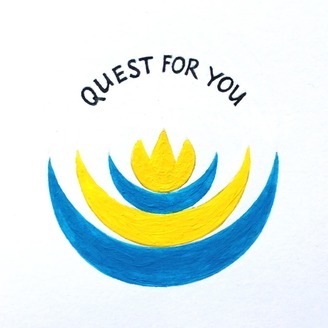 The post What does it mean to be productive – QFY 423 appeared first on Quest For You.